If you are thinking about buying an investment property as a buy to let investment then Plymouth Sales & Lettings (PSL) can help. Either if you're a first time landlord or an established landlord looking to expand your property let portfolio we can guide you through the process. Plymouth Sales & Lettings (PSL) is looking to be a growing part of the UK's biggest property service group. (PSL Mortgage Services) We can choose from a number of either independent Mortgage Consultants or our in house Consultants. They all provide recommendation, help and an advice guidance service that can help you with your investment buy to let project requirements. PSL Mortgage Services Consultants will listen to your requirements, understand your situation, study your property portfolio and help you secure the correct mortgage for your investment buy to let purchase. Call us now on 01752 212928 to arrange an informal discussion, advice or help or view our BUY TO LET MORTGAGES online. Our team of advisors also offers their advice and help with a large range of Wealth Management Services. Whether you require help with savings and investments to planning your retirement and writing a will we have the teams in place that you can trust no matter what stage in life you are at or have reached. YOUR PROPERTY MAY BE AT THREAT AND REPOSSESSED IF REPAYMENTS ARE NOT MET ON YOUR MORTGAGE. If you are thinking about buying your first home or moving up another rung on the property ladder, Plymouth Sales & Lettings (PSL) can help you to secure the correct mortgage for you. A team of high street lenders. A growing part of the UK's biggest property service group. Availability to thousands of mortgage related products. Plymouth Sales & Lettings (PSL) is looking to be a growing part of the UK's biggest property service group. (PSL Mortgage Services) We can choose from a number of either independent Mortgage Consultants or our in house Consultants all provide a recommendation, help and an advice guidance service that can help you with your first time buy, or next step purchase requirements that is tailored around your needs and current circumstances. Whether you require a variable, discounted or fixed rate mortgage our Consultants use a number of UK mortgage lenders to find that tailor made mortgage that is right for you and your needs. PSL Mortgage Services Consultants will listen to your requirements, understand your situation, study your current circumstances and help you secure the correct mortgage that is wrapped and suited just to fit you for your first time purchase or next step purchase needs. Moving house can be traumatic, stressful and one of the biggest nightmares in life if not organized and dealt with correctly. Not with Plymouth Sales & Lettings (PSL) Mortgage Services. It's not just a matter of selling your house with an agent and finding a new house to move into to call home. It takes planning and help to make the transactional period run smoothly. PSL Mortgage Services can help make this happen, as finding the correct mortgage for your current circumstances can be vital to get you on the move. 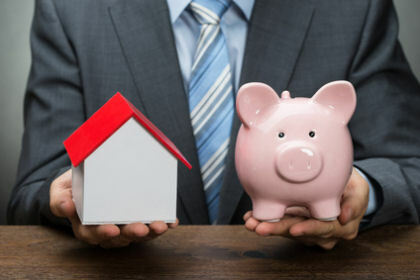 PSL Mortgage Services plan to help thousands of people whether they are purchasing, selling or investing we will and can arrange their tailor made mortgage to suit their requirements and current circumstances. You are not even required to purchase a property through us to qualify for our mortgage services and help. Many of our mortgage customers have been sellers who have sold with another agent but are shopping around looking for that special tailor made mortgage build around their needs. With PSL Mortgage Services there is no hidden extras, we will explain in detail the actual cost of any charges associated with any terms and conditions so you can be reassured that nothing has been hidden from you. We can also help with the cost planning in moving to ensure your budget is adequate for the move. Our goal is to understand, help and advise you on the best product for you and your circumstances. With a free initial consultation why not call us now on 01752 212928. PSL Mortgage Services also provide a number of extra home moving products tailor made to suit your needs. We have onboard individuals who specialize in conveyancing and surveying who have fixed priced contracts that can be used by either sellers or purchasers. It is designed to be easy to use and available to all at a cost promise price. Our initial mortgage consultation is free. If we can help you and a deal is agreed we do charge a fee for administration and application for your required mortgage. The exact amount will be calculated depending on the circumstances of the application and applicant. PSL Mortgage Services have onboard a number of solicitor law firms and licensed conveyancing law firms who have been chosen due to having a cliental list of very happy customers and an impeccable record for Customer Service Help. This is proven as repetitive business is generated through existing old customers either returning or by recommendation. These services are available to all parties involved in any transaction after which PSL Mortgage Services do receive a fee. Our fee we receive for a referral is available to anyone who wishes to view it as PSL Mortgage Services complies with the Solicitors requests, introduction and Referral Code written by the Law Society to include the law company. PSL Mortgage Services refer clients to an independent professional who you will be given confidential and impartial advice. It is ultimately your final decision to make. You can if you so wish use the services of another law firm. All conveyancing fees and relative charges applied are available to be viewed by request. THINK BEFORE SECURING OTHER LOANS OR DEBTS AGAINST YOUR HOUSE. 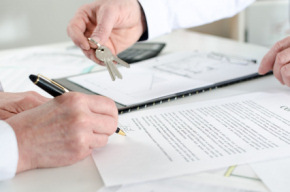 YOUR PROPERTY MAY BE AT THREAT AND REPOSSESSED IF REPAYMENTS ARE NOT MET ON YOUR MORTGAGE.